"Discover 5 Simple Techniques to Playing Over 101 Toe-tapping, Foot-stomping, Hand-clapping Praise Songs by Ear!" ... and 101 praise songs is just what I could count off the top of my head (there's plenty more)! What most musicians don't understand is that almost ALL praise songs follow a similar pattern. In fact, MOST praise songs share the SAME exact rhythms, chords, and bass runs --- they just have different lyrics. It's not that you have to learn 101 different songs... because once you learn the 5 easy rules I'm going to reveal on this page, you won't have to memorize hundreds of songs. You'll be able to play a countless number of songs on both the piano and organ BY EAR just by following the five steps over and over again! "I can't tell you how much my piano playing has improved since I started using these 5 steps to build my praise songs. I actually thought that I had to learn every single praise song out there one by one. I was so wrong. Thanks to your steps, I am now able to play my entire praise service without relying on other musicians. I appreciate all that you're doing for gospel musicians." You have a strong desire to play the piano, organ, or keyboard for your church. Your church sings up-tempo praise songs and you're struggling to keep up, learn the right chords, or find new "things" to play. You need help on ways to accompany a preacher or charismatic speaker. You need help with bass-runs, fill-ins, and "runs". You need tips on how to utilize your left-hand when playing with a bassist. You feel that you play "old-fashion" and want to pep it up a little bit! You don't know how to play praise songs at all. You don't know the five parts to a praise song and wish to learn them so that you can instantly play over 101 songs by ear! Don't worry about any of these problems any longer. They will never be a concern to you again. If you can identify with any of the statements above, then I highly recommend that you keep reading as this site will change the way you look at gospel music --- I GUARANTEE YOU! Problem #1: NO WHERE TO GO. Most educational institutes don't teach our style of music so where do we go to improve our skills? Whether you agree or not, gospel musicians have ALWAYS had to go to the "school of hard-knocks." In other words, playing gospel music in a church involved getting advice, tips, and lessons from WHOEVER you could (if you couldn't learn it on your own). When have you ever heard of getting a degree in playing "toe-tapping, hand-clapping" praise songs by ear? Plain and simple --- in the past, if you wanted to learn, you had to go over and beyond to get the help that you needed. Problem #2: NO ONE TO ASK. Even if there are talented musicians in your area, most of them are not willing to "share" chords, progressions, tips, and advice with others for fear of losing their own musicianship job. And of course ... this occurs more frequently in certain locations than in others. For some reason, musicians feel that they must compete with one another --- thus, we develop this "every-musician-for-themselves" type of environment. Am I not right? Have you experienced this type of reaction to a simple call for help? If you haven't, then you're blessed and ought to be very thankful for the musician who is helping you. Problem #3: MISUNDERSTANDINGS ABOUT LEARNING NEW SONGS. In my experiences of teaching and speaking to thousands of gospel musicians, I've come to recognize that there are still tons of people who don't realize that many songs share the SAME EXACT chords, progressions, bass-runs and more. I say this time and time again --- IT IS NOT A MATTER OF LEARNING HUNDREDS OF NEW SONGS BY EAR ... it's a matter of recognizing similar chords and progressions that are present in MULTIPLE songs. I can easily name over 101 praise songs that share the same exact progression. 2. "Have You Tried Jesus"
3. "God is a Good God"
4. "The Devil Thought He Had Me"
5. "I'm a Soldier in the Army of the Lord"
2. "Bless That Wonderful Name of Jesus"
3. "This Little Light of Mine"
5. "When I Woke Up Early This Morning"
2. "What A Mighty God We Serve"
3. "This is the Day"
4. "Oh, Magnify the Lord"
5. "I Don't Know What You've Come to Do"
My friend ... it's just like anything else you've learned how to do. You learned how to walk ONCE and now you can walk and run wherever you want to. You learned how to talk, and now you can organize your words into different patterns to relay your thoughts to other people. You learned how to write and now you can combine different words to create meaning on a sheet of paper. Well... learning praise songs is the same way. You learn the five parts that make up ALMOST all praise songs, and you then perform them over and over again and sometimes in different patterns. If you let me, I can show you step-by-step how to play praise songs by ear. These are not difficult rules. These are not complicated techniques. They have been used by musicians for generations after generations (though they might not have been explained in the sequential steps that I am going to show you). "Where were these techniques 20 years ago when I first started playing? Though I've managed to survive as an old-time musician for 20 years, I knew that my church was looking for a more contemporary sound. That's when I decided to try your videos. To make a very long story short, I can say that I still have my weekend job at the church and that people have actually starting coming up to me to tell me how good I'm sounding. Just the idea of being better at what I do is exciting and satisfying. I owe this all to your program. God bless you." *Use the scrollbars to the right to view the entire section. Discover the five parts to a praise song and how to recognize them with your ear. Knowing them is one thing and recognizing is another. By the end of the program, you'll NOT only be able to recognize the different parts of a praise song, BUT you'll have several options to consider when playing them (we never play the same thing over and over ... I will teach you several different ways to play EACH part). Learn what "A-B" songs are and how they differ from "A-B-C-D" songs. This is something that hundreds of gospel musicians still don't know. It frustrates me to hear a musician playing an "A-B-C-D" praise song when they should be playing an "A-B" praise song. It is very very very important to know the differences between the two types. Yes, one is an extension of the other --- but the extensions make ALL THE DIFFERENCE. You'll learn just what I'm talking about. How to transition between parts A, B, C, D and E of a praise song. Just because you know each part doesn't mean you'll know how to transition between each one. I will show you smooth ways of transitioning between, for example, parts A and B, or parts C and D. This is very important as it helps you to distinguish one part from the other. These transitions can also serve as "indicators" to let you know what parts are coming next. Learn three methods to figure out what type of praise song is being sung. I will show you, step-by-step, how to classify different praise songs. You will also learn how to figure out when a praise song has transitioned from an "A-B" to an "A-B-C-D" or from an "A-B-C-D" to an "A-B" praise song. These are priceless techniques, especially if your church sings a medley of praise songs, one after the other. Over 10 ascending and descending bass-runs to keep your praise songs sounding different each time. You never want to sound like you only know one or two bass runs. I will show you ascending, descending and chromatic bass runs for each of the five parts (a, b, c, d & e). I promise that you'll learn some new ones by the end of the program. An "over-the-shoulders" look at exactly what I do with my right hand. Many people struggle with things to do with their right hand. I will show you several different chords to play (1-part chord progressions, 2-part chord progressions and even 3-part chord progressions). Remember... playing by ear is all about having options. If you don't have any options, you might as well be sight reading (which I have nothing against because I do both). The reality is --- in order to keep up with a charismatic service, you can't be glued to sheet music. You have to KNOW what to do and HOW to apply it in the RIGHT situation. Several "runs" that are ready-to-use the minute I show them to you. If you feel like your music is bare, then I'll definitely give you some right-hand "runs" to consider. From pentatonic scales, to chromatically descending pentatonic scales, to one-fingered alternations, I will show you some "fill-ins" that you'll be sure to use at your next church service. "I tell you. I've tried book after book, tape after tape but nothing really specialized in gospel music. I needed something that I could relate to and not something that was way out in left field. To my surprise, these videos really hit home. These were the songs that I was used to hearing in church and not nursery rhymes like I learned with other videos. Not only did I learn the basics to playing these praise songs, but I also learned neat little things to do on my right hand that really enhance the sound of my playing. By the way, I love your bass runs. Please let me know when you release more material as I'll be the first in line to buy. Thank God for your company." Learn "unconventional" ways to play shouting music and vamps of praise songs. Learn how to incorporate "advanced" chord progressions and bass runs into your shouting music. Imagine playing a traditional bass run and quickly transitioning to a whole new-sounding chord progression. Believe me... this definitely adds something to your music (and drummers love the "switch" as they can experiment with different rhythms). Learn how to include 7th, 9th, 11th, and 13th chords in your praise songs. No one plays regular 3-fingered triads anymore (and if so, it sounds really shallow). Learn how to squeeze "expanded" chords like dominant 11th and 13's into your music. Once you switch to these chords, you'll never go back to your old way of playing --- trust me. I've been there and done that. Learn the same pattern of chords, bass runs, and progressions played in over 101 songs. I listed a few above but believe me... there are tons of songs that follow these same patterns. I guarantee you that most of the praise songs you hear are identical. Just listen to the way they are sung --- are not the singers changing tones at the same points in each song? Do your homework and you'll notice exactly what I mean. How to syncopate your playing to give it that "toe-tapping, hand-clapping" feel. From my experiences with hundreds of musicians, I find that rhythm is a huge problem. I purposefully cover a segment on how to use your right hand to compliment your left. In order for your music to sound its best, you're going to have to learn how to have both hands work together --- the best they know how. This involves various rhythmic patterns that you can play to enhance the overall sound of your "bass / chord" progressions. How to play chords on your left hand when you already have a bass player. It surprises me when I see pianists, keyboardists, and organists only using one hand when they have a bass player. Why not add to the sound and use your left hand? Unless you have a specific reason for NOT using your left hand, then it can be utilizing "tri tones." Learn these multi-fingered left-hand chords and how they are used in conjunction with "runs" and "fill-ins." How to "solo" when its your time to shine. In some large churches with several instrumentalists, there comes a time when each musician can "solo" by themselves. This is no ordinary playing --- you must be prepared to show what you've got. I'll give you a few things to do so that you are not embarrassed. These are fancy "licks & tricks" that I love to repeat throughout a variety of my favorite praise songs. How to end songs when its time to wind things up. This seems to be a problem for many musicians but there is a SIMPLE progression you can play to end your praise songs. I'll show you exactly what to do so that you never have this problem. The last thing you want is your Pastor upset with you for not being able to end a praise song (or shouting music) after everyone has settled down. I'll give you some things to do --- I PROMISE! How to transition from praise to worship chords. While I don't cover a lot of slow worship chords and styles in this program (but in another dvd course), I do show you a few transitional chord progressions that'll help you to move from a praise to a worship period. This is a "must" for musicians who play in churches that sing fast songs first and slow songs last (or a combination of the two). Learn how to play praise songs in all 12 keys so that you're not stumped when someone starts singing in the key of "B natural." You won't have to use a transposer or rely on another pianist or keyboardist again. Simply learn my easy "transposition" techniques and you'll be ready to play these songs in virtually any key. Besides, you can't use your keyboard transposer forever (especially if you play organ or acoustic piano). WARNING: These bass runs, chords, progressions and "fill-ins" will literally have your pastor asking for piano lessons. I won't tell you that there isn't a price you have to pay for sounding good because there is. People will ask you to teach them. And if you have the time, why not? I get so many letters about this that I just thought I mention it beforehand. How to follow a preacher during the "climax" period of their sermon. If you are in a church where the pastor gets a little "excited" at the end, then you'll need these progressions that I show you in this dvd course. Learn exactly what you need to do to "help" your pastor out. There are certain chords and rhythms that should be played. I'll show you exactly what I'm talking about. Tanisha Barnes from New Jersey had been playing for her church for about 2 years when she started studying with HearandPlay.com. After receiving our 300-pg course and having huge success with it, we invited her to be one of our pre-testers for the new upcoming video series. "I was lucky to play at my father's church for a while but I wasn't growing like I knew I could. After taking your video course, I figured out what I was doing wrong. It wasn't long before I had improved my left hand bass and even added more chord progressions to what I was already playing. I didn't want to tell my father I was studying a course. I wanted him to comment on my growth before I told him. Soon, he approached me and told me that God had really anointed my hands during the last few services. I told him that I had truly received a gift from God. Thanks Hearandplay.com. You're a Godsend. You could be getting similar or even better results. All it takes is applying a few of the simple techniques and rules that I use in my "GospelKeysTM 300 Series" video course entitled: "Exploring Praise Songs & Charismatic Styles!" Dvd 1. Ernest Walker (aka E-man) has already studied our 300-pg course and is currently tackling our GospelKeys series! He showed so much growth and enthusiasm (as a student) in learning new concepts and techniques that we asked him to host one of our chat nights. He currently plays for 4 churches (yes, that's right). You can join E-man on Thursday nights in our public chat room. My GospelKeysTM 300 Series dvd course will teach you everything you need to know to play just about any praise song you can think of. I won't spend time showing you EACH AND EVERY praise song. Rather, I will spend time showing you the five rules that'll allow you to MASTER hundreds of songs. Yes, I will cover several songs in the dvd but these are meant to show you EXACTLY how to play all the other songs that follow these same patterns. 60 minutes of step-by-step, over-the-shoulder footage of what I play the most during praise services. Not only will I "show" you what I play, but I will make sure you understand "why" and "where" to use these bass runs, chords, and progressions. Over five segments of useful information and examples. I break up each part of a praise song into segments. Every single minute of the course is used to share needed concepts and techniques. Close-ups, Titles, and Images to make sure you're playing the right bass run or progression with the correct hand. This video wasn't just put together. It was designed specifically to make sure you understand all of the techniques from a visual and mental standpoint. Emphasis of all techniques to guarantee that you never miss a beat. I will never quickly fly through anything that I teach you. In fact, I usually play all examples more than two or three times. Concepts from the 300-pg course are also used in praise songs. You will learn, step-by-step, how to integrate "2-5-1", "6-2-5-1", "1-4" and even "7-3-6-2-5-1" chord progressions in praise songs. If you already have the course, you're at a wonderful advantage. If you don't have the course, I will explain the progressions enough for you to understand them (but you might want to also consider the 300-pg course as well). How to manipulate the same chords and make them sound totally like NEW voicings. How to make your left-hand chords work with your right-hand "fill-ins" (if you are playing with a bass player). How to mentally transpose a song in less than 3 minutes (this one is amazing)! How to play for 10 minutes straight and still keep your audience highly engaged in your music (a variety of different "licks and tricks" to play). When I start selling dvd 2 separately (and this could be any day now), it will sell for no less than $49.95 (which is about the cost of two 30-minute sessions with a piano teacher --- and that's if you're lucky enough to find one who specializes in gospel music). But it's yours free as part of this comprehensive program. B. BONUS #2 --- 15-minute consultations with my staff just in case you have any questions about what I'm playing in the two dvds. If you agree with those easy requirements, then this program will definitely benefit you. When's the last time you bought something that came with a personal tutor? Now you have one at your disposal if you so choose to take advantage of this service. My teachers normally charge $25 per half an hour for something like this. So every time you call, just think of it as about $12.50 saved. All FREE for our students. C. BONUS #3 --- Weekly Training Chats (Monday, Wednesdays, and Thursdays). Now... I am not even going to tell you that I charge for these chats because I don't. While I host Monday nights, I have two dedicated friends and fellow colleagues that host Wednesdays (Anthony Gray; aka "Hammondman") and Thursdays (Ernest Walker; aka "E-man"). The thing is that most people in our chat are committed and don't have a problem with investing in their musical education. So to not have the material right in front of you might mean to possibly be "lost" in a conversation pertaining to it. Basically, as long as you have the dvd course, you can participate in the chat and know what you're talking about! Mondays: 6pm (pacific), 7pm (mountain), 8pm (central), 9pm (eastern). Log-in by clicking on "chat room" from our main site (www.hearandplay.com). Wednesdays: 7pm (pacific), 8pm (mountain), 9pm (central), 10pm (eastern). Log-in by clicking on "chat room" from our main site (www.hearandplay.com). Thursdays: 7pm (pacific), 8pm (mountain), 9pm (central), 10pm (eastern). Log-in by clicking on "chat room" from our main site (www.hearandplay.com). If you're serious about playing over 101 praise songs by ear, then you won't have a problem with this deal at all. I will give you GospelKeysTM 300 DVD 1 plus DVD 2 (a $49.95 value by itself) and I will extend to you free consultations (normally $12.95 per session). Plus, you'll get the additional 3 Monthly Music MentorTM courses valued at $79.95. So you're not only getting 2 hours of step-by-step dvd footage on charismatic praise songs but an additional 4.5 hours of audio training in free bonuses. Then there's the ongoing support --- what else could you possibly ask for? For just 2 easy monthly payments of $30, this entire GospelKeysTM 300 Training Program plus all of the bonuses (6.5 hours combined) can be yours. This offer is subject to change at any time so if you're really interested in this dvd course, I suggest you act quickly --- otherwise, you might end up paying $150 or more in the future. Click here if you are ready to order online through our secure server or by check or money order. If not, my "nothing to lose and everything to gain" guarantee should help you make a decision --- or you're just not serious about this opportunity. But if you can learn just 40 new praise songs, chords, bass runs, tricks, fill-ins, and "runs", what is that actually worth to you? If you'll finally be able to play for your church like you've been desiring to, what is this course worth to you? I can't put an exact dollar figure on it for you --- only you can do that. But I can tell you this: at 2 monthly payments of $30, this program could very possibly be the best bargain and the best investment you'll ever make in terms of your musical growth. 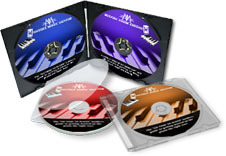 Click here if you're ready to take your piano playing to the next level. So not only do you get the flexible payment plan, but you have a full year to decide whether this course is for you. At 2 monthly payments of $30, you are losing absolutely nothing and the risk is all on me. What else can I say? I've acted on my end of the deal ... now it's your call. If you think 2 monthly payments of $30 is too much for you, then ask yourself this question: "How fast will I spend this money on snacks, movie tickets, or other leisure activities?" Some of you can't honestly answer more than 2 hours. I know I can't. I am trying to literally give you 2 hours (120 minutes) that will change your piano playing forever. No one knows your condition like you do. Do you honestly need help with praise songs? Are you at a standstill in your playing? Do you need some "fancy" runs and "fill-ins"? Do you need the techniques that I discussed in this letter? Do you want to play for your church ... your choir ... or your group? The course is shipped via USPS Priority Mail or Express Mail. You will receive the GospelKeysTM 300 dvd course in less than one week and can get started learning praise songs the very same day you receive it. You can literally be on your way to playing for your church service (or improving your current skills) by next week! P.S. Don't forget --- I am including dvd 2 (normally $49.95) with this special offer. I honestly don't know how long this will last. All I can say is if you're serious about playing gospel music, you'll want to take advantage of this special offer while you can. Otherwise, you might be one of those individuals who pay more than $140 for this comprehensive package. To receive your copy of the GospelKeysTM 300 Training Program, Click here. P.P.S. Still not convinced that you need this gospel video course? Let me give you just one more reason to order. If you don't have at least 5 to 7 good "runs" and "fill-ins" to use during praise songs, then your music is probably too "dry." I don't mean to insult you in any way. I just want to let you know that there is room for improvement for anyone (no one is excluded when it comes to growth). If you want to grow in your musical ability, click here to order now. With my 365-day unconditional money-back guarantee, you have absolutely nothing to lose.